The Manitoba Combative Sports Commission has medically suspended all 22 athletes who competed in Saturday’s “UFC 161: Evans vs. Henderson” event in Canada. Every fighter was issued a mandatory 14-day ban, several were suspended indefinitely for various injuries sustained in their respective scraps. 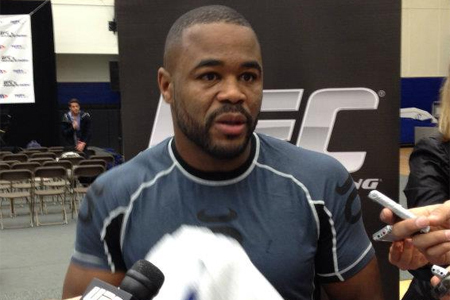 Despite posting a split decision win over Dan Henderson in the show’s featured attraction, Rashad Evans (pictured) is one of seven contestants who will be riding the pine indefinitely. The commission didn’t provide any details on fighter injuries. UFC 161 took place inside MTS Centre in Winnipeg.